We're all in pursuit of that brighter, whiter smile. Unfortunately, things like red wine, our coffee addiction, or, even more surprising, things like antibiotics and berries are keeping us from maintaining those pearly whites. 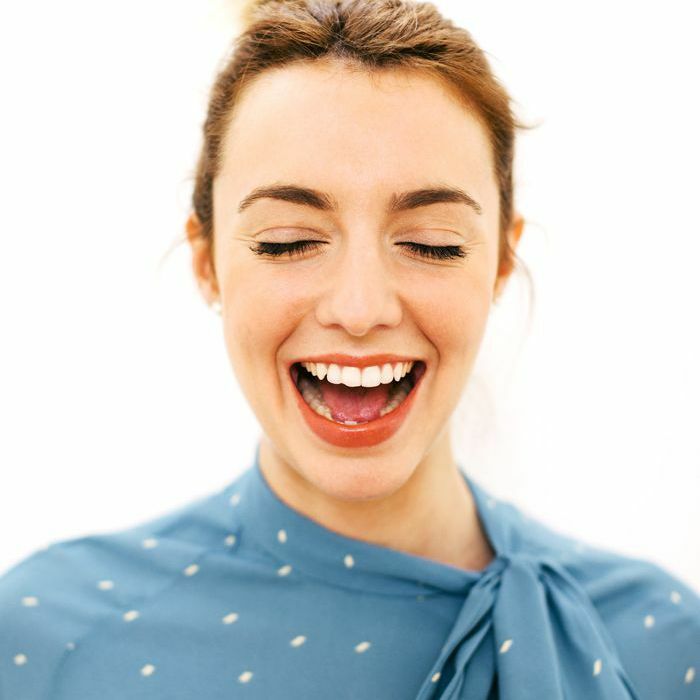 If you're looking to brighten your smile but you also want to steer clear of the chemicals in store-bought solutions and don't want to blow your bank account with a professional teeth whitening appointment, there are a handful of at-home remedies that are proven to work. Keep it natural with things you probably already have in your kitchen. These DIY teeth whitening methods are not only convenient, but they actually yield results. Without spending a bunch of money or even making a trip out to the store, you can get on track to the bright, stain-free teeth you've always wanted. Take your pick of one of our favorite methods and work your way to a whiter smile. Keep scrolling to read the DIY remedies you can try at home today. Yes, coconut oil is a miracle worker for our skin and hair, but also our teeth. After you finish brushing, put a spoonful of coconut oil in your mouth and swish it around for five minutes (gradually increasing to 20 if you can handle it). If the oil pulling is too intense, try adding a toothpaste-size portion onto your toothbrush and brushing it on. The most delicious (and dentist-approved) way to whiten your teeth, a handful of strawberries mashed up and spread across your teeth is an easy step to a brighter smile. Up the efficiency by mixing with baking soda and use as a scrub, or simply leave as is for a gentler (and tastier) cleanse. Another food family that removes stains from teeth is fibrous foods, like celery and apples. Says board-certified prosthodontist and oral care expert Dr. Levine, "Foods that require a lot of chewing, meaning fibrous foods like apples, celery, and carrots, will whiten teeth because they naturally remove stains on teeth. They act as natural exfoliants." Apple cider vinegar is a potent way to remove the stubbornest of stains. It has been touted that apple cider vinegar delivers professional-looking results, but one must be careful when using it, as the acids are strong enough to remove tooth enamel as well. Once you've brushed with apple cider vinegar, brush teeth again thoroughly with fluoride-free toothpaste, and then rinse to remove all residue. Baking soda is a popular ingredient for removing stains and it also works well for whitening teeth. All you have to do is dip your wet toothbrush into baking soda and scrub for two minutes. We will say that baking soda can be harsh and may cause a burning or tingling sensation. So use with caution, of course. Tooth enamel is made of calcium, and the more calcium you eat and drink (this includes cheese and milk intake), the stronger and whiter your teeth will be. This off-the-wall way to whiten your teeth at home is one of the easiest in the book. Before bedtime, take a piece of banana peel and rub the inside against your teeth for two minutes. The potassium, magnesium, and manganese in the peel help to remove stains and whiten teeth. In general, you want to limit foods that stain your teeth. The biggest offenders are coffee, red wine, soda, and dark berries. This post was originally published on November 27, 2016 and has been updated.